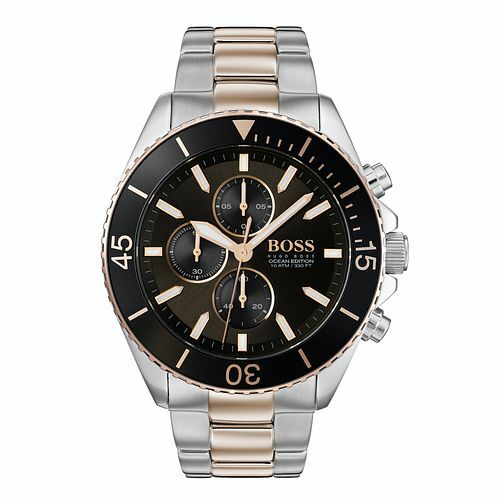 A classic timepiece, the Ocean Edition men's watch boasts a two tone stainless steel case with a rotating bezel. The bold black dial presents a trio of subdials with gold plated features, to ensure further precision in your timekeeping. A sleek and smart timepiece, finished with a two tone bracelet for a perfect example of wristwear for the modern gent.